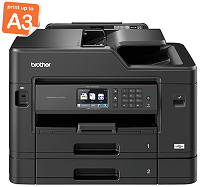 Brother 33/27ppm A4 3-in-1 InkBenefit Printer with Wireless Networking includes USB Cable. Laminated Piezo Print Head provides reliability and optimises undisrupted high-volume printing. Enjoy low ink costs with affordable 2,400 super high page-yield InkBenefit cartridges. 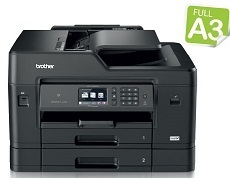 Reduce ink wastage with an individual ink cartridge system that allows you to replace only the colours you need. Plus, easily produce 2-up and 4-up on a single sheet. This saves paper when viewing drafts or layouts. Featuring high print speeds of 11/6ppm* , time is saved when there are large volume printing tasks. Users can utilise their time more efficiently instead of waiting for their printouts. Furthermore, with paper input of up to 100 sheets, users avoid having to refill paper tray too frequently. 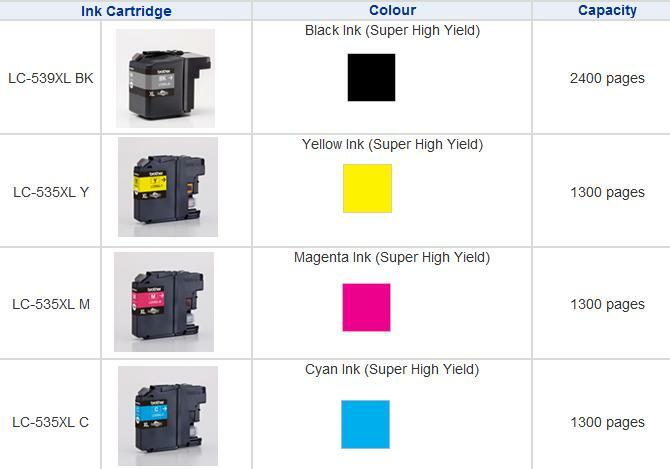 Enjoy convenience of less-frequent ink purchases with super high-yield InkBenefit cartridges. 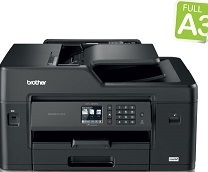 Plus, save valuable time as you can still print in black even if colour cartridges run out. With the free iPrint&Scan app, you can now print directly from your iPhone, iPod Touch or iPad. Plus, you can scan documents from your Multi-Function Centre straight to your Apple gadgets. In addition, save resources and share your multi-function centre across your wireless network.